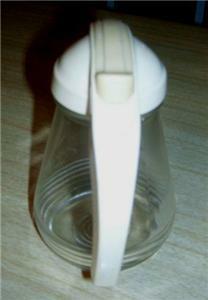 Home » Collectibles » Kitchen & Home » Kitchenware » Other » Cream 50's Ringed Federal Tool Pancake Syrup Pitcher!! 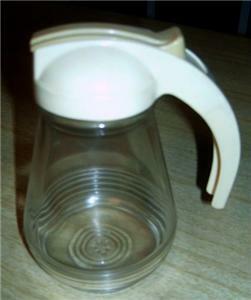 Cream 50's Ringed Federal Tool PANCAKE Syrup PITCHER!! 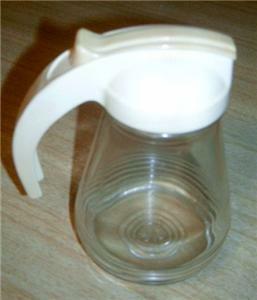 Our Retro Delights are sold just as we find’em “As Is” ~ The majority of our items are from the 40’s 50’s 60’s & 70’s, so they have been gently owned and loved before you! We do our best to give the most accurate description we can, so please email us with any questions before bidding, as all Cosmic Pop Sales Are Final.